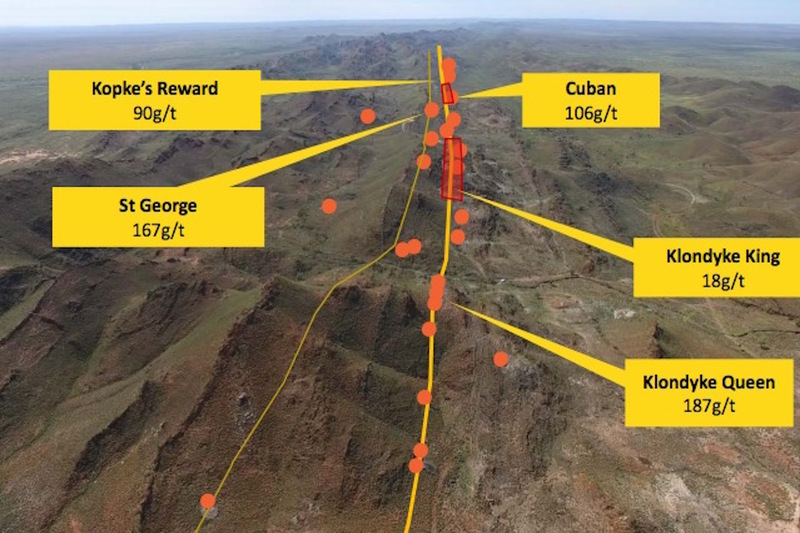 Pilbara gold hopeful Calidus Resources have been knocked over in the rush from investors looking to secure stock in their recent placement that management says was “up to 3 times oversubscribed”. In the end the company rejected millions of dollars worth of bids, taking just $10m from investors, leaving those that missed out with no option other than to buy on market. Interestingly, Calidus’ recently announced Joint venture partner Novo Resources corner-stoned the raise subscribing for $1.5m worth of stock. The scramble for Calidus scrip is no surprise after a remarkable run of drill hits since the company listed in June at its Warrawoona Gold Project near Marble Bar. The historic gold mining centre had promised much but had never been properly explored until Calidus recently consolidated all tenements along the Klondyke Shear. The $10 million placement at 0.041 cents a share is being made in two tranches to investors in Australia, Asia and North America. The first tranche of $3.9 million has already been completed, while a second tranche of $6.1 million will be completed subject to shareholder approval. The move by Novo to take up a corner stone position on the Calidus register appears to be an endorsement from a company that has generated excitement worldwide with its conglomerate gold play in the Karratha region. Earlier this month, Calidus and Novo struck an innovative JV that gives Calidus control over the entire Warrawoona greenstone belt, including highly prospective extensions of the Klondyke Shear. Calidus already had an aggressive 11,500m RC drilling program in place, which was due to wrap up next month. This was focused on upgrading the current resource of almost 400,000 ounces and has achieved results that exceeded many expectations. With the additional funds from the new capital raising, Calidus will now be fully funded for a major expansion of its exploration program to include direct extensions of the Klondyke Shear on both Calidus and Novo tenements and a number of new prospects that have been generated since the company listed. If results keep coming in as they have done since Calidus listed just three months ago, the company will be in an exciting position when it begins a pre-feasibility study in about 12 months time.